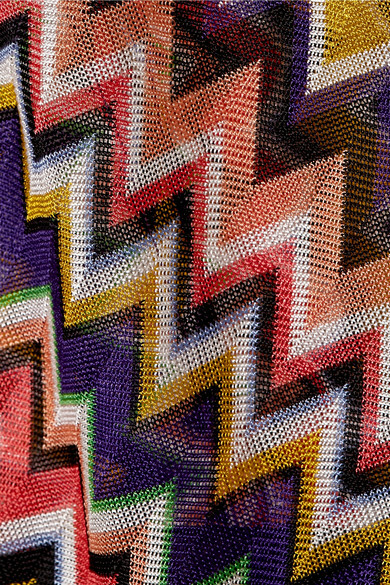 Missoni Mare's playsuit is cut from the label's breathable crochet-knit fabric, making it a great option for warm-weather vacations or days in the city. 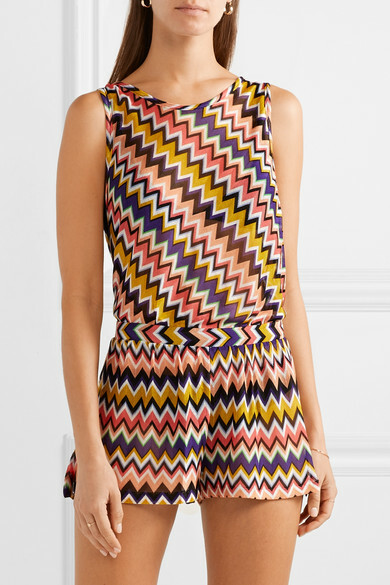 This sleeveless style is woven in a colorful chevron pattern and has an elasticated waistband and breezy side slits that enhance the relaxed feel. Shown here with: TL-180 Shoulder bag, Bottega Veneta Sandals, STONE AND STRAND Ring, STONE AND STRAND Ring, Loren Stewart Earrings, Catbird Bracelet.